There is always some work to do in our tropical garden every month, December 2011 is no different! That’s in favour of the beauty of gardening and enjoying its rewards. We did last week the propagating of one of our Aglaonema plants. 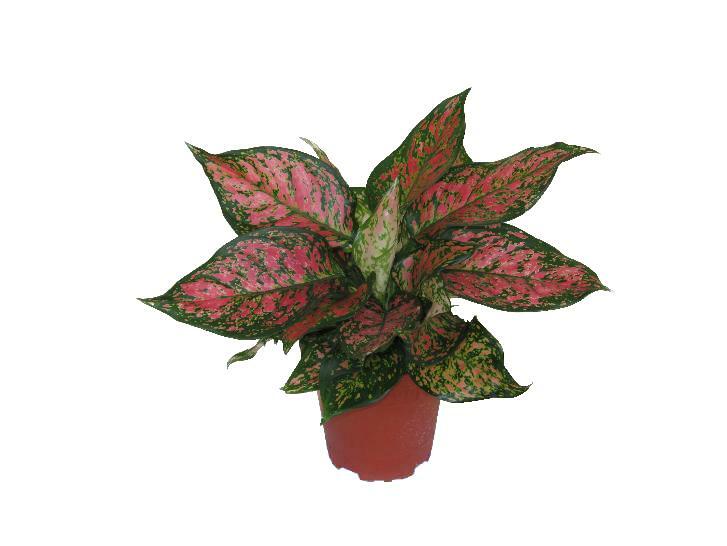 Aglaonema is known as Chinese Evergreen. Being first cultivated in China, it is one of the most decorative plants with attractive variegated foliage for indoors and outdoors. With much hybridising over the many decades, especially here in Thailand, the newer cultivars are now available in explosive colours with many variations in shades, forms and sizes. One such new hybrid from Thailand is the Aglaonema “Valentine” with lovely pink and green random blotches as pictured above. Aglaonema’s popularity is further enhanced because of its ease of growth, care and propagation. It can be easily propagated by seed, tip or stem cuttings or division. Our potted Aglaonema had become somewhat large for the small 6-inch diameter pot. We could either repot them altogether into a single larger pot or divide and grow them individually to get more plants. We opted for the opportunity to separate one plant from the rest for our propagation project. The best time to propagate your Aglaonema plants by division is during transplanting or repotting where suckers (young or small shoots) can be potted as individual plants or when you’ve purchased a healthy pot of young plants and wish to increase their numbers by separating them. 1.Place the pot on its side and carefully pull the plants out from the pot, removing the root ball together with as much soil as possible. 2.Check the condition of the roots to see whether it is rootbound or not. If the root ball is heavily matted, you’d need a knife to cut vertically downwards, right through the root and soil mass to divide the clump of plants into smaller sections. On the other hand, if the roots are not heavily matted, try your best to loosen as much soil from the roots as possible. Then gently prise open with your fingers and use a knife if necessary, to separate one plant at a time, being mindful to get as much of each plant’s root system as possible, as seen in the right image. 3.Place each division (section) or a single separated plant into a pot of quality potting medium, firm the soil around the stem(s) and water thoroughly. Anyway, Aglaonemas are not fussy about soil quality, so any commercial packaged soil is suitable as long as it’s well-drained. 4.Locate the pot at a sunny site that receives bright indirect sunlight. Water regularly to keep the soil moist. In due time, your plants should thrive well and very likely overstay as they are long-lived. – 1. By shoot tip cuttings : Use only tip cuttings that have a minimum of five leaves. Remove two basal leaves from each cutting and push the cuttings in a pot filled with growing media. Site the potted tip cuttings at a warm place with filtered sunlight and water regularly to keep the soil moist to encourage rooting which will take about four to six weeks. – 2. By stem cuttings : This method is normally used on matured or aged plants that are healthy but top heavy, having shed their lower leaves. Cut the stem back to about 2 cm from the soil line, and new growth will eventually appear where the cut was made. You can then use the top of the stem with leaves as tip cutting and propagate it as a new plant. The rest of the stem should then be cut into about 5-7 cm pieces, being mindful of their top sides. Then, stick the cuttings about 2.54 cm deep, with their top-side up, into a pot filled with growing medium. Likewise, place the pot at a sunny location and with regular watering, they will root to provide you with new plants.